Reports and statistics are showing that millennials in China are on the rise. Especially when it comes to purchasing online at popular online stores. Millennials aren’t really purchasing online as much as the newest consumer in the retail market. About 31% of the millennials in China are increasing their income. And, it is suspected that the millennials will increase their salaries over the next five years. This means that retail market sales for this generation are also going to increase. The millennials income is in general lower than the newer generation’s income. They are getting about RMB 11,738 while the rest of the population is getting about RMB 12,423. And, because of the fact that they are getting a much lower salary, they aren’t increasing the sales with the retail market. 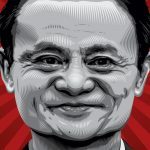 Now they are suspecting that they are going to increase their salaries and that they are able to have an influence on the retail market of China. 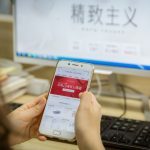 The retail market of China is not considering some ways to increase productivity at the market and online so that the millennials in China can have a much cheaper product to choose from. This is why they are considering adopting a multi-brand strategy. This will make it easier for them to purchase their products online. Before they can make a success with this option, they need to consider a couple of things. Especially when it comes to the multi-brand strategy. This will have a more successful impact on the millennial’s retail sales statistics. There is a growing demand for luxury products that are going to have a positive effect on the retail market. The millennials are starting to consider luxury products, because of their increase in salary. This is making the Chinese market more successful. The experts are suspecting that the luxury product demand is going to increase by 70% during the next couple of months. Statistics have shown that about 45% of people claiming that owning one designer item is a must. And, these items are really expensive. More than half of the millennials in China is trying to save as much money as possible, and this is why their sales aren’t as high as with the other generations. They know that saving is essential. The reason why the retail markets are considering the multi-brand strategy is so that the millennials in China is going to be able to purchase a cheaper version of the product that they have been looking for. And, this is the reason for the increase in total sales for the Millennials. The total retail sales of millennials are increasing, and they are suspecting an even larger growth in the next 12 months. There are many reasons why the millennials in China has so low retail market scores. They are getting a much lower salary than the rest of the population. And, this is why the multi-brand strategy is coming in.